If you like listening to music and don’t mind typing I’ve got a pretty good (and fun) side hustle opportunity for you today. Welocalize is a professional translation company and right now they are working on a project that involves having thousands of song lyrics transcribed. To get those song lyrics transcribed they’re currently looking for freelancers to help. EDITOR’S NOTE (9/13/17) This company previously had issues with their payment processing and several payments were made late. To my knowledge (speaking with several WeLocalize contractors) payments have been/are now being made. When you create an account with Welocalize you’ll fill out your basic profile and choose the genres of music you like. You’ll download the Welocalize app (for Mac users only) and connect it with ITunes. You’ll then be given a song based on the genres of music you chose. After you have your song you’ll type the lyrics into the Welocalize app while listening. 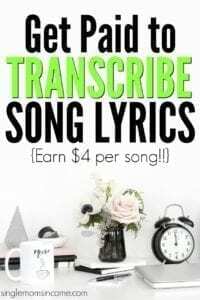 The pay is $4 per transcribed song. The average freelancer is earning $16-$20 per hour. If you’re interested in transcribing song lyrics for Welocalize you can sign up here and get started today. Can you download the MAC OS X app to your phone or computer? I don’t believe so…You need to have a MAC operating system and then can download the Welocalize app. So download on a MAC PC or iPad? Hi, I signed up last night and have yet to receive my Hyperwallet logins – how long does it usually take to get them? I haven’t received my Hyperwallet info, either. I don’t want to do too much work on here without knowing how I’m going to get paid. It seems like a great opportunity and very easy work, so hopefully, I will hear something from them soon regarding pay info! Yeah, definitely! I hope to get it emailed soon… I’m in NZ, so I’m wondering if it isn’t international? I have an email in with the company and will let you both know as soon as I hear back! Thank you so much for this, Alexa! Help! I downloaded the Snap app but not sure how to logon and connect with iTunes. Do you sign on to Snap with a Gmail account or your iTunes account? And how does it connect with iTunes once you log on? Hi! Log in to your Snap with the gmail (there should be an instruction video on the website..) and log into iTunes via “Account” – if the music doesn’t start playing once you press play in Snap, close both the programmes and open them back up again! This seems like fun, but I am wondering if it is a too-good-to-be-true scenario. Any feedback from your experience thus far would be great! Hello ladies! I’m the Director of Global Communities at Welocalize, the company behind this app. 🙂 I’m excited to see so many ladies registering each day. We currently have as of just now 1141 people registered and about 90 people actively transcribing each day. Plus we still have 65,000 tracks left to do, so there’s LOTS of work. Hey! So, I have been transcribing songs via Snap for the past couple of days ( a few songs a day). I think I have the hang of it now (I didn’t do real well on the first couple of songs). I did receive an initial email saying welcome to Welcalize, but that’s it. The email said I would receive another email about how to set up the payment portal. I haven’t heard anything, even feedback on how my transcribing is. It’s fun work and I would love to keep doing it, I just want to make sure I am doing it correctly and get compensated. What should I expect next? We’re working on making that second email with information on signing up for payments, come a lot faster. Right now it’s manually sent, and in the next week or so it will be automatic. Additionally, the next phase in the app is to show you a progress bar with more info about how you’re doing, what you’ve done, etc. Feel free to email me jen.lopez[AT]welocalize.com and I’ll have the team take a look at your account. Its sad that this project needs a Mac. I have an ipad, but alas. Hello! You’ll want to choose gmail – the Welocalize one is for employees of the company (we need to make that more clear!). I’ve been working on this project for a week. I like the work but I haven’t received any payment information as of yet. Has anyone else been paid for the work they’ve done yet? I am wondering as well. I have been doing this for about 2 weeks and reached out to Jen (the person who has replied to some of the questions above). The last I heard from her was Monday. She said support would be in touch. As of today, they haven’t. I am starting to wonder if this really is legit. I am not giving up, but treading lightly. Let me know if you hear anything. Hey, thanks for responding. I haven’t heard anything as of yet. I contacted support last week. They said I should receive an email this week but I haven’t. I’ve never done a transcription project where you were allowed to submit any work before at least turning in paperwork/setting up payment information so that’s why I was a little worried. Also it worried me, since people are logging in with their google and iTunes accounts to do the work. I researched it a little more and found that it was mentioned on a few other sites. Jen seemed to make a post answering the op’s concerns, so that made me feel better about it. My only other concern was that the Facebook being mentioned – “Welocalize Talent” (https://www.facebook.com/WelocalizeTalent/?fref=nf) seems to be separate from the official Welocalize Facebook (https://www.facebook.com/pg/Welocalize/posts/?ref=page_internal) and the talent one is not linked or mentioned on the official Welocalize Facebook profile. On the official Facebook, the lyric job that is mentioned is not remote, it’s in London and it’s through Adapt Worldwide. I couldn’t find anything about Snap but just figured it wasn’t mentioned because it’s new. They have several other music/lyric jobs that are not remote, on their indeed profile. Maybe I’m wrong and it is mentioned somewhere and I didn’t notice it. I hope so. Also if you click on posts on the talent Facebook, there is one post from someone asking how to remove the Snap app completely, as it was interfering with other applications on his computer. So that raised another red flag for me. Maybe Jen can come on and give some more clarity to this. Perhaps I’m being too paranoid. But I hope we get a response soon. It seems like a cool project, so I hope it works out. Now I am freaked out. At this time, I am not doing anything until I know for sure I am going to get paid. I’m glad to see you’re doing your homework! Let me dive in answering some questions. The community team (which I manage) runs the Welocalize Talent page. We are mostly focused on hiring freelancers (linguists mostly for our translation jobs which is the bulk of our work), so that page is focused on the talent side. The main Welocalize FB page is run by the Marketing team and is focused on attracting clients. We work together on many things, and if you look at the two Twitter accounts @Welocalize and @WorkWithWeLocal you’ll see we cross post often. In addition to our remote transcription jobs for Snap, we’re hiring people to do this work in our offices in Portland and London. Adapt Worldwide is our global marketing agency, but still a part of Welocalize, and that is our London office. We need lots of songs transcribed, so we’re doing a mix of remote/freelance and on-site/contract. We do other music related jobs that are for linguists, which is a part of our staffing team. For example I just posted a Music QC position on the FB Welocalize Talent page for this. It’s an on-site, 2 year contract. We’ve clearly had some issues with getting the remote folks paid quickly and are ironing out our processes for Support and response. The Snap team and billing teams are in constant contact and working through getting all the information in order and getting people paid asap. Any song you completed, you’ll get paid for. I’ve personally been so excited to see so many women signing up to work on this project. It makes me feel like I’m helping moms everywhere in some small way. And I totally understand your concerns. I also know how hard the team on our end is working to get these things going. I hope this helps answer any questions, and I hope you’ll continue working with us! Once the initial bump of getting that first payment, the following weekly payments are consistent. Thanks so much for clearing everything up! Curious if you been paid yet. I don’t want to sign up after seeing so many people saying they were not getting paid. Thank you so much Jennifer for the breakdown. This brings a whole lot of relief when it comes to working and not knowing about legitimacy! I almost started to panic for a moment. Is there anyway we might be able to get an estimated time of when the payment processor might b up and running? like maybe a week a two..a month or so? Oh no, glad you didn’t panic. 🙂 What should happen is that you sign up, within a day you get your welcome email, then within a week you get the email to sign up for payments, and within the following week you get paid. If there’s any missing information from the registration, one of my colleagues reaches out to help fix the information with you. Within 2 weeks though, everything should be rolling. Then after that first payment, you’ll get paid weekly. Hi Jennifer, is there any update on how the payment process is going? I received my payment setup email about two weeks ago but still nothing came through as yet. Did you get paid yet? I don’t want to sign up if this is a scam. If so, how many songs are you averaging in an hour? Hi Jen. This sounds like a great opportunity, I don’t want to miss out. Does the app work with a macbook air? I’m very keen to start work so hope it does. Curious if anyone has actually gotten paid yet? Is there any update on your pay? I’m interested in signing up but want to make sure that people are eventually getting paid for their work. hi! 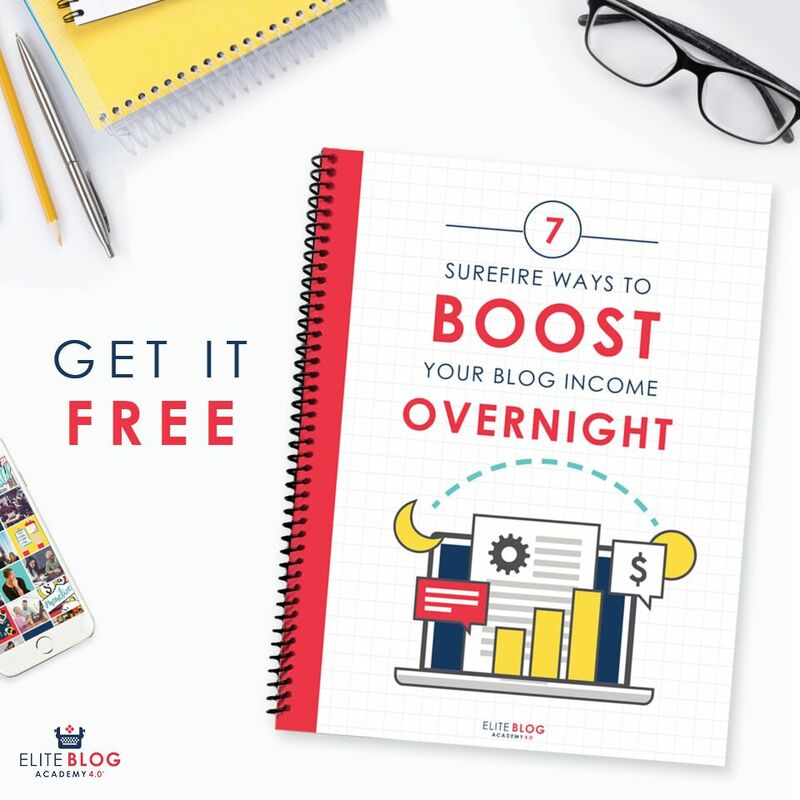 are you still doing this and still getting paid? Hi Alexa, do you know if the app is compatible with a macbook? Or does it have to be pc? Thanks for the assurance. I was hoping someone could share their experience with us ladies who would like to try this out. How is it working out for you? I just set up my account today, then I log in to the Snap app and iTunes and Snap says ‘ there are no offers available”. What does this mean? Hi, i really want to do this, but i dont have a MAC, what should i do? A MAC is required. Sorry. Why should a mac be required when I can download and access iTunes on my PC. The extra money would help me tremendously. I’m older in job world where age discrimination is real. Why not make the app Mac and PC friendly? More sign up. More song get completed. I would like for someone from the company to answer this response. Im sooo hyped i got my first paycheck a week ago…it came to me on monday in my hyperwallet and i was sent an email to let me know i had a payment. even though it states it takes 1 to 3 business days to transfer…i got it transferred to my bank in less than 12 hours. To anyone reading this…please dont give up..join the live webinar for questions on wednesdays…Im super excited. I have started transcribing and I’m not too excited about all the comments regarding how long and difficult it seems to be to get paid. Have you been paid regularly since your first payment? Did you get paid July 31st? Can I ask – if it’s not too personal – if the pay was any good? Like, did they accept all of your submissions? I’m wondering: is this a legitimate way to earn some side income? Do you still work for Snap. Welocalize and how has payment been? I’ve started Snap, but it says “There are o offers available.” does anyone know how to solve it ? Are you girls getting paid? Anyone get paid yet? You would think the payment system would be automated. It feels a bit fishy but I’d be really happy to hear that it’s a legitimate, paying opportunity. I waited until August 22, then sent a follow up email to support, which was not returned. On August 24, I sent another email from a different email address. I did receive a response, and was told that an email to set up my account had been sent to my other email address. I scoured every inch of my inbox, spam, deleted messages, etc. and could not find an email about setting up payment. I reported this to support. They said that I could have the email resent myself and provided a link. I followed the link and attempted the reset, and received an error message saying that my email was not in their system. I relayed this to support. I was told that this was unusual, that the issue would be escalated, and that I would hopefully receive a follow up on August 25, but it could be August 28. As of the end of the day on the 29th, I still have not been contacted. At this point, I have no idea if I will ever be paid. I am definitely not transcribing another song until I find out. TL;DR I’ve getting the runaround about payment for over a month, no end in sight. Proceed cautiously. Update: I was able to reach resolution in about a week by reaching out to someone higher up at the company with my problem and then contacting Hyperwallet support directly. As of this morning, I have a Hyperwallet account set up with funds available to transfer to my bank account. The good: They are paying, and I am satisfied with the amount I’ve been paid for my work so far. The bad: Getting set up to receive payment in a timely manner clearly remains an issue. I am excited to start transcribing again, and my faith in the legitimacy of this opportunity has definitely been restored. Awesome! I just signed up and have already registered with hyper wallet. I was just scared of wasting my time doing this. I think I’ll give it a go now! Thank you! I was certain that this was happening to only me. I have been transcribing for over a month with no email to set up payment from hyperwallet. At this point they won’t even respond. I believe that they are legit but not prompt to pay for some unknown reason. There are so many payment methods available today yet they have you wait on a hyperwallet email that never comes. They will not pay you take it from me. There are no songs in the Queue, have not been in a while. Do you expect that to change in the near future? Still no songs in the queue. 18/11. They dont do the payments regularly since 1 months. They have to do it on friday but i wrote them on tuesday and they have done the payments on tuesday. if dont write no payments. And no tracks since 10 days. i think company went bankrupt. I think all the songs are all over. No payment and no answers to the mails and still no songs in the queue. I think it’s all over. Thank you, are you getting any songs to transcribe anymore? I think songs are all over. It says here that they are not taking new signups any longer. Anyone see songs available to transcribe on snap or not?